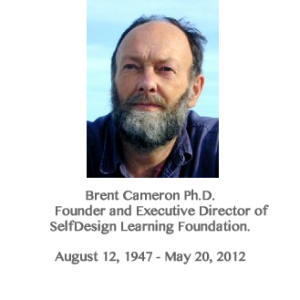 My dear friend and colleague, Brent Cameron, shifted dimensions on May 20th, 2012, the day of the eclipse. Brent was/is a truly bright light in the emerging human consciousness that is guiding us into the dawn of this new phase of evolution. Brent, along with his beloved partner River Meyer, his family and many friends, brought forth one of the greatest models for the new education. His inspirations for it are based upon a deep understanding of the fundamental nature of the cosmos as found in cosmometry — and most primarly upon the purity of Love and Joy. 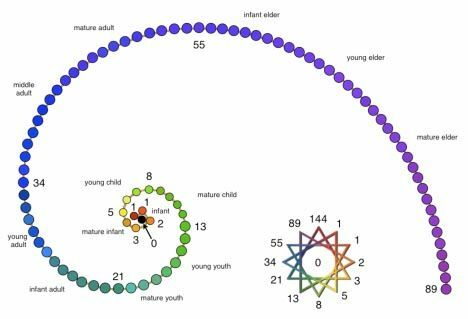 This LifeMandala is also based upon the 12-around-1 geometry of the VE. 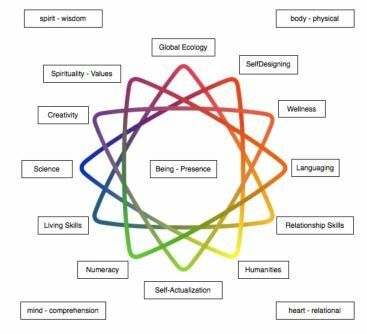 It depicts the primary realms of consciousness and modes of learning each of us engages throughout our lives, and serves as a foundation upon which students and mentors co-create learning paths within SelfDesign. 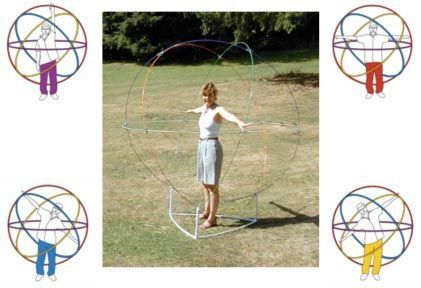 Brent's great love of the phi spiral and Fibonnaci sequence inspired one of his most passionate, and compassionate, innovations: The LifeSpiral. its premise is simple... each stone in the spiral represents a year in our life's journey. Along the way are key milestone years, with their interim phases, that mark our progression following the natural evolutionary harmonics of the Fibonnaci sequence: 1, 1, 2, 3, 5, 8, 13, 21, 34, 55, 89... and onward as the case may be. By coming together and standing on the stones that represent years in which we have had great personal experiences, breakthrough, milestones, tragedies, ecstasies, we can see the patterns of our own lives within the living harmonics of nature's rhythms, as well as see others when shared as a group (as shown in the second image below). I had the joy of experiencing this with Brent and a gathering of the core SelfDesign staff, advisors and mentors once, and will always remember the enthusiasm and devotion Brent brought to the event. It was his desire to bring the LifeSpiral out into the world far and wide. In fact, in my last conversation with Brent earlier this year he highlighted this project as one of his most precious quests. It is with the deepest gratitude and thanks that I celebrate the gifts Brent brought to our world. If you have children and wish to embark with them upon a timeless and timely life-long learning path, please consider SelfDesign. You are loved always, my friend! As you have always loved us. Blessed be.